ETS HiSET: Expanding Opportunities. Changing Lives. 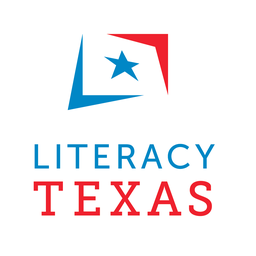 Dr. Ida Acuna-Garza is the CEO for the South Texas Literacy Coalition and has been involved in outreach and adult education for over 40 years through various agencies. Cameron Allen is the founder of The SEED Adult and Family Learning Community, a program striving for full democracy. He holds an Ed.M. from the Harvard Graduate School of Education. Kathryn has degrees in language acquisition, literature, and education, and has been the Program Director at Literacy Advance since 2011. Paula Bauer, Program Coordinator - Library & Information Sciences at TRAIN PD @ TCALL provides development, management, procurement & circulation of TCALL’s library collection for TRAIN PD events. Ann Beeson has 16+ years of experience working with adult ed programs in 10 states. Ann has a Master’s degree from the Univ. of MN in Curriculum & Instructional design. Susan is leading the expansion of Next Chapter Book Club. She has spent more than 20 years guiding fundraising, marketing and communications campaigns for nonprofit organizations. Susan is the author and publisher of “I’m Not Afraid… Anymore!” for Math and English as well as an Oklahoma HSE Coordinator. It has been her great pleasure to lead students out of fear and into success. Julie Brown holds graduate degrees in library science and adult education and is TESOL certified. She currently serves as the ESL/ELA Program Director and curriculum advisor for LIFT. Health Literacy and Promotion Manager at El Buen Samaritano. Masters in Wellness Management with a minor in Gerontology from Ball State University. He has 8 years of health care experience. After a successful stint in archaeology, Clint leveled to an academic librarian. When he is not finding and organizing things, Clint does permaculture and slays the evil hordes as a Dwarf Barbarian. Wayne Crandall is a PD Specialist for TCALL. He assists in identifying training needs of local providers; provides a variety of TRAIN PD services to local providers; delivers training as needed. Rosa Maria M. Crocker is the Coordinator for Adult Literacy Programs at FEGS-Plano ISD. For the past 21 years, Rosa Maria taught classes. Rosa Maria graduated with a BS in Rural Engineering, completed a year of Master’s on Entomology, and currently is pursuing a Master’s in Education. With over 15 years of extensive nonprofit leadership experience, Jennifer uses her talents to lead Literacy Texas in a time of dynamic growth, exploring and strengthening partnerships, and supporting hundreds of literacy organizations across Texas who help to ensure that all Texans can read. Olga M. Escamilla, Ph.D. has over 20 years' experience in adult education. She has worked in various positions, starting as a Workforce Case Mgr. Instructor, Supervisor, P.D. Specialist and AEL Director. Arlene Gale is an international award-winning, best-selling author with 30 years' writing & speaking experience ranging from keynote speaker to workshop leader at conferences around the United States. Chemical Engineer, MBA, Expert Game Developer & Gamifier, Gabriel Garcia learned how to read at a functional level at age 24 and read his first book in 2016. Learn techniques applied and created. Sylvia Gomez, Burlington English Customer Manager for South Texas. With over 10 years' experience in Adult Education, she will show you how to help your Low level ESL students with Burlington Basics. For over 20 years Texas State Director Anson Green has been a leader in adult education, workforce development, and community college instructional design. Family Literacy Manager at El Buen Samaritano. Masters degree in International Education Management from the School for International Training. 10 years administering adult education programs. Karen Guida, Certified Academic Language Therapist and Director of Adult Basic Literacy at LIFT, is pursuing an MA in Teaching and sits on the Dallas International Dyslexia Association Board. Karen is the founder and director of the Hood County Adult Literacy Program. She is a Dyslexia Consultant, certified in the Barton System and owner of Literacy Consulting Specialties. Debra is the Director of PD for TRAIN PD and has 25 years of experience in designing & delivering engaging & effective PD. She oversees the PD Portal and loves to share new tech tools with colleagues. Carolyn serves as Founder and Executive Director of Each One Teach One Adult and Family Literacy Program of San Antonio. In 2016 EOTOSA implemented a workplace literacy program with local employers. Tracy Hendrix is a PD Specialist for TRAIN PD @ TCALL. She has 22 years of experience as an AEL Counselor, Coordinator, Chief GED Examiner and statewide as a Grant Manager. Sarah James has over 10 years training and teaching adults in ESL and cross- cultural topics. She holds a M.A. in TESOL and Intercultural Studies and lives in Boulder, CO with her husband. As the National Sales Director for Adult Assessments, Mike is responsible for supporting and working with the product development teams for TABE and TASC. Currently works as a full time faculty member in the School of Education at Manhattanville College in Purchase, New York. It is there that she devotes her time to teacher training. Alvin Le Blanc is a Lead Instructor at the Adult Reading Center in Pearland, Texas. He has been teaching Adult students for over 15 years. Zachary is an English as a Second Language teacher at Avance Austin and citizenship class coordinator at Manos de Cristo. He has taught with the SEED Austin, Workers Defense Project, and AmeriCorps. Norma Lopez has been teaching English as an ESL instructor for 14 years.She has a BA in Secondary Education with concentrations in Educational Psychology and Counseling. Jonna McDonough, HiSET State Director, coordinates training and outreach to programs supporting Texans in pursuit of their TXCHSE. Prior to ETS, she was an ELA MS teacher and Department Chair. Founder and Executive Director of the nonprofit Give More HUGS. 10 years of combined experience in teaching ESOL, education methodology, communication, freshman seminar, and technology courses. Twelve years' experience in adult education, MLS and MPA. Executive Director and Founder of the Centro Latino de Educación para Adultos; ProLiteracy member; Pres. Collin County Adult Literacy Council. Lester Meriwether has served as Executive Director of Literacy Connexus for more than 13 years. Through this organization he helps churches help people with literacy needs. Emily Payne, EdD, is an associate professor and a member of the graduate faculty in developmental and adult education at Texas State University and has worked with grant-funded projects. Ms. Molinari brings eighteen years of experience in AEL as an ABE and ASE instructor, statewide PD trainer and developer and consultant. AnneMarie’s passion is helping students with learning disabilities achieve their academic and career goals. Krista Mosher has been an ABE/ASE teacher for 24 years, and is currently working as a Professional Development Specialist with TRAIN PD. Sarah has worked in English Language Development/ESL in California for 20 years. She has been teaching ESL at Visalia Adult School for the past 10 years, and also teaches at College of Sequoias. Sunpreet Narang is the education director at the StudentNest Foundation. He has strong interest in technology integration and distance learning. Karen has 21 years' experience teaching ESL and leads workshops with Literacy Connexus in Dallas/ Fort Worth & Southwest Texas. She is the director of ESL at Southland Baptist Church in San Angelo, TX. Jennifer Peters is the Community Engagement Administrator at TSLAC. She has over twenty years' experience in libraries, nonprofits, and partnership development. Beth Ponder is the Program Manager for PD Field Services for TCALL. Ms. Ponder assists in identifying training needs for local service providers and delivers and develops professional development. Sarita is a part-time Adult Education ESL teacher with Region 17. Entrepreneurship is implemented to allow students to develop social skills with a variety of experimentation to become good Samaritans. Ysabel Ramirez is the Grant Director of the Texas Success Initiative Professional Development Program (TSI-PD) grant. Larry Randolph currently works as an Account Manager with Commonteri Services, but has previously worked in the nonprofit world helping low-income neighborhoods increase literacy rates. Gayla Rawlinson Maynard, a certified grant professional with 20 years of grants experience, is the Director of the Center for Grants Development division with Harris County Department of Education. Before serving as Student Advisor, Arcella coordinated ESL programs for vulnerable populations. She earned a MA from the American University of Beirut and has taught English in four countries. Aaron Reyna is a program coordinator and instructor for Restore Education in San Antonio. His research interests include postsecondary access, retention, and success for underrepresented students. Kerri Rhodes is the C&I Director at Restore Education. She and other teachers created programming for students that best meets their needs and prepares them for success in college and the workplace. Dr. Glenda Rose is a professional development specialist with 30 years of experience in adult education. Melissa Sadler-Nitu is the Integrated Basic Education Skills Training (I-BEST) Director in San Antonio, Texas. Providing training/employment assistance to students requiring basic skill development. Adult educator, trainer, ESL author, consultant, and diversity professional for almost 30 years, Federico helped write the new naturalization test. Amber is entering her third year as a doctoral student in developmental education at Texas State University where she has worked with TEI on several grant projects. Brian Smith is a State Relationship Manager for GED Testing Service and has been with the organization since 2012. He will be presenting on the latest information from GED Testing Service. John Stevenson a program specialist at the Texas Workforce Commission, Adult Education & Literacy. His interests include content standards alignment, ESL, distance learning, technology integration, and professional development. Rosa Tapia is a Spanish/English GED tutor serving Restore Education's students since July 2016. She was a leading team member in the creation of the programs serving Spanish speaking students. Dr. Lynn Taylor completed a post-doc from Syracuse University. Her research examined the impact of organizational change on teacher professional development and teacher effectiveness in Adult Ed. Erin Taylor is an ESL instructor and Career Pathways instructor with a background in computers and linguistics. She has worked in a Worksite Literacy capacity for hotels in Austin, TX. Lewis is an editor for National Geographic Learning. He holds undergraduate, master’s degrees in TESOL and a postgraduate degree in teaching. Former ESL/EFL teacher and teacher trainer. Connie serves as Site Coordinator for EOTOSA. She is the lead staff person on the workplace literacy program implemented in 2016 with area employers. Connie is responsible for service development. Ms. Kimberly Vinton is the Director of Adult Education in the Alamo region, overseeing eight Adult Education and Literacy providers in rural and urban areas. Katarina Vukasinovic is an Adult ESL Lead Teacher at Baker Ripley (formerly NCI). She's been in Adult Education for 7 years, and has a Master's degree in TESOL and a CELTA teaching certificate. A trickster, not a fighter, Teri spends her days taming dragons, i.e. software for nonprofits. Then she heads home to cook some tasty food & casts a few confusing spells as a soap-making Gnome Cleric. Ashly has worked with the Literacy Council of Tyler for the last four years. She is passionate about adult education, technology, teaching, and training. Wes Young is the Literacy Coordinator for the Arlington Public Library and has overseen all adult education programs for the past 3 years. He holds an MLS from the University of North Texas. Michelle is a GED recipient. She started working for ESC-20 as an instructor in 2009. She is now an Educational Specialist and part of the AEL Alamo Consortium grant management team. Heather is Program Manager for Literacy Advance of Houston, which offers free adult ESL and ABE classes. She has worked at adult education centers in the US and abroad, and has vast experience in teaching, curriculum development, and program administration. Award-winning playwright and monologist Kevin Kling is known for his hilarious recounts of true events on NPR’s All Things Considered. His autobiographical tales are as enchanting as they are true to life: hopping freight trains, getting hit by lightning, performing his banned play in Czechoslovakia, growing up in Minnesota, and eating things before knowing what they are. Royal has worked for Pearson for three years, and has helped ESL customers find solutions to their curriculum needs. She currently helps English Language Learning customers in Texas and Oklahoma. Jennifer is currently earning her MS in Social Work at UT and is Outreach and Communications Intern at Literacy Texas. Previously, she oversaw reading intervention to K-5th graders through AmeriCorps. Janet Roznos, National Geographic Learning Consultant and former teacher, has worked with instructors at all levels to facilitate implementing research-based best practices. Texas Workforce Commission (TWC) is the state agency charged with overseeing and providing workforce development services to employers and job seekers of Texas. TWC strengthens the Texas economy by providing the workforce development component of the Governor's economic development strategy. The DEAR Texas concept started with an annual event created in 2014 and then implemented in 2015 when Texas authors were distributed around the state in bookstores, libraries, and schools over a two-day period in April to spotlight their works to readers. The overwhelming response from this event demonstrated that it needed to be its own separate organization; thus, Texas Authors, Inc., moved it out from under its organization and set it up as a separate 501(c)3 in Texas. During the first year of operating, DEAR was able to arrange for Texas authors to get into Blackshire Elementary school, a Title I School, to do reading programs with children. A total of 6 authors were able to read and talk with over 200 students during the year. Over the past two years, over 115 authors have been able to reach out to the Texas community during the annual event. This outreach has been in over 36 cities across Texas, and with each passing year the goal is to increase the number of authors and cities participating. Burlington English offers a unique program for English language acquisition. It combines face-to-face classroom activities with any time-anywhere access to state-of-the-art online interactive courses. BurlingtonEnglish understands the requirements under the Workforce Innovation and Opportunity Act of 2014 (WIOA) and provides a system for adult education providers to implement relevant online curriculum for ELAA learners. The Burlington English solution gives adult learners the opportunity to attain basic skills and the English language skills necessary to succeed in career and postsecondary education. Founded by educators, not technologists, Aztec Software has been in the business of improving adult and young adult lives through computerized skills remediation from its inception. With an industry-leading understanding of the way in which its student population learns using a computer, the company has expanded its product set beyond academic material. Brain Hive offers a robust reading platform that allows educators to integrate print and digital content seamlessly into daily classroom instruction. Educators, students and parents have access to over 16,000 high quality fiction and nonfiction titles for K-12 students from leading educational publishers at school or home. Brain Hive’s intuitive, engaging eBook formats and digital tools reinforce strong reading habits and increase digital literacy and stamina while preparing students for online high stakes testing. Brain Hive’s innovative features such as text-to-speech gives all students including emergent readers, students with special needs and English Language Learners the ability to learn and interact with text digitally. Teachers can easily differentiate instruction with unlimited classroom group organization, assign authentic reading tasks including graphic organizers and comprehension activities, and monitor daily student progress with detailed reporting. All eBooks are simultaneous, multi-user access making classroom novel studies a breeze for all students to read the same book at the same time on any device with ability to read offline using Brain Hive’s free iOS and Chromebook apps. Lastly, optimize your school’s literacy resources with Brain Hive’s free literacy resource manager. Search for all classroom resources in one location, check titles in and out, create favorites list and quickly assign books from one easy-to-use app powered by Digital Bookroom Solutions (DiBS). Cambridge University Press, a non-profit organization, is the world’s oldest and continuously operating printing press. Because we are a non-profit we are able to offer cost affordable student ESL products and many free products such as the Ventures Arcade. Not only that, but our ESL products are backed by the world’s leading and most prestigious research institution Cambridge University and we put together the best author teams such as the Ventures authors to deliver what the market is demanding. Our mission is to unlock people’s potential with the best learning and research solutions. Our vision is a world of learning and research inspired by Cambridge. Please stop by the booth for your complimentary copy of our recent catalog, to check out new samples, and meet your Texas District Manager – Robin Graybill. Coming summer 2018 – VENTURES 3E new edition. Data Recognition Corporation | CTB assessments have passed rigorous reviews at the state and federal level, and for the past 50 years, the Tests of Adult Basic Education (TABE®) have been the premier measure of achievement used by educators, states, employers, and correctional facilities to assess the knowledge and skills of adult learners. For decades, if you did not finish high school, you had only one option. Now that has changed, and that’s where the TASC Test Assessing Secondary Completion™ comes in. DRC|CTB created the TASC test as a flexible and affordable alternative for measuring high school proficiency. The HiSET® exam —a more affordable, accessible high school equivalency (HSE) test option— enables out-of-school youth and adults to demonstrate the knowledge and skills required to earn a state-issued HSE credential. Based on the College and Career Readiness Standards, the HiSET exam has been adopted in 27 states and territories, including Texas.